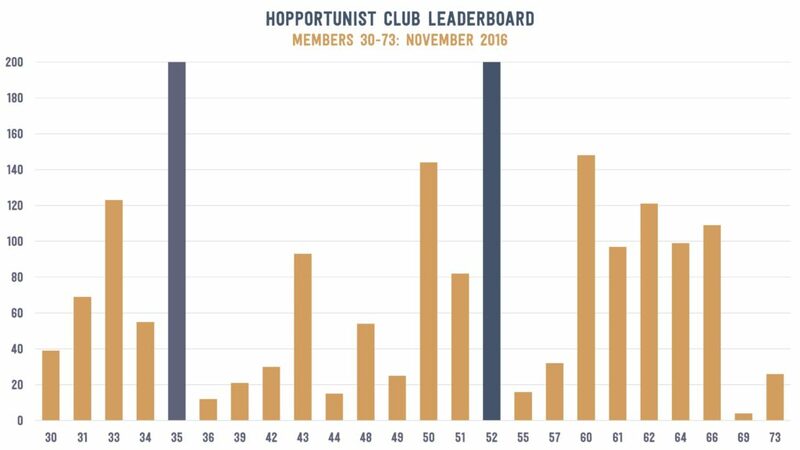 As we approach the halfway point, member #52 becomes the first female Hopportunist to consume 200 different beers and join member #35 in bicentenary bliss! We salute you and your determination to break through that glass ceiling. Cheers to you #52! 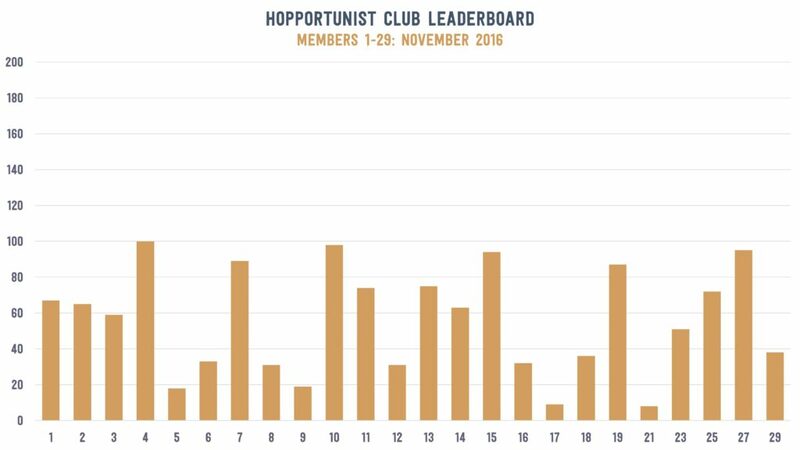 Check out the full November leaderboard standings in the charts below. Consumption data is through November 30, 2016. 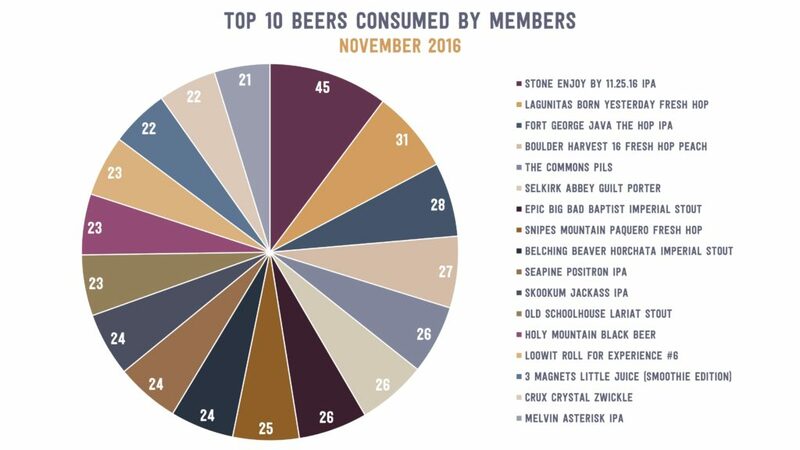 Not surprisingly, the latest in Stone’s Enjoy By series, Enjoy By 11.25.16, was the most popular beer consumed by members in November by quite a large margin. Given it’s groundbreaking short shelf life and impressive hop profile, it’s no surprise that this beer was a member favorite. Check out the pie chart below for a complete look at November’s top 10. With the halfway point now upon us, almost half of all Hopportunists have already saved more than the cost of their membership. Overall, members have saved an average of about $75 since June. And for the data geeks among you, click the link to interact with the data – Total Savings Workbook. Thanks for your support and keep on drinking craft beer!